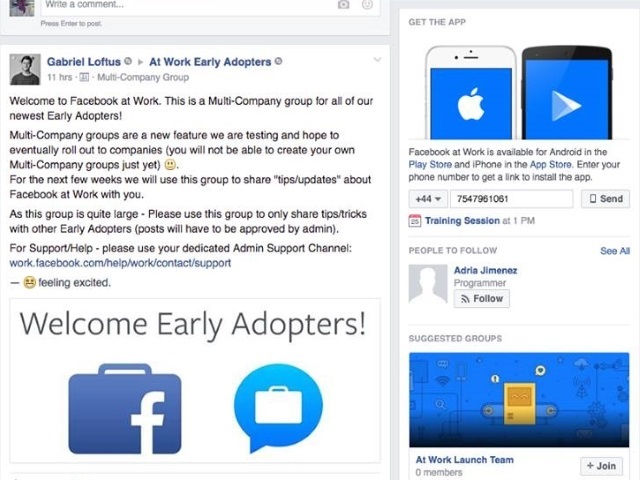 Facebook is testing a multi-company groups feature within its Facebook at Work offering for businesses. Reader Geoffrey Moffett of Triovia shared the screenshot and video below with SocialTimes, adding that Facebook will begin charging businesses $3 per active member for Facebook at Work in December. FacebookAtWorkMultiCompanyGroupsTest from SocialTimes on Vimeo.